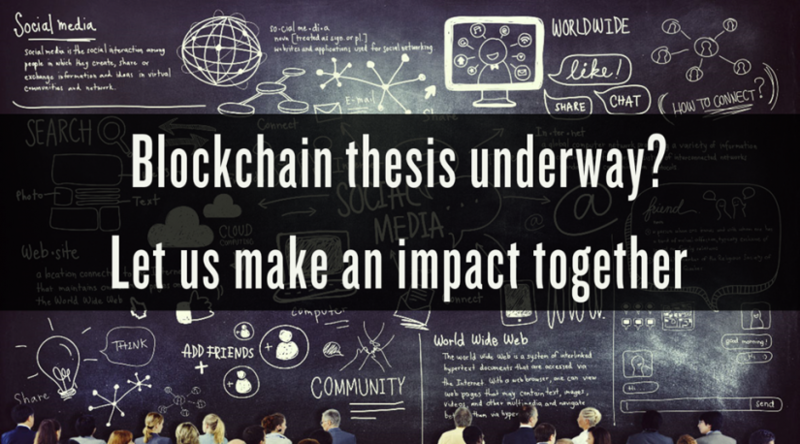 Deloitte Denmark is proud to offer students from all fields of study and all Danish universities the opportunity to write their thesis with mentorship from the Deloitte Nordics blockchain specialists. 1) Insights collected in blockchain projects delivered in Denmark and abroad. 2) Direct access to blockchain specialists in Deloitte’s global network. 3) Mentorship on scope, execution and communication of your thesis. The purpose of the above is to improve your thesis and get it out to the world while it gives us an opportunity to know you. If, for example, you work with tech, we can offer you input on practical business cases. If, on the other hand, you work with business/economics/society, we can offer you input to your problem and provide technical insight. Furthermore, do please share this message if you know someone who maybe could be interested.